Recently we have proposed Gaussian mixtures as a local statistical model to synthesize artificial textures. We describe the statistical dependence of pixels of a movable window by multivariate Gaussian mixture of product components. The mixture components correspond to different variants of image patches as they appear in the window. In this sense they can be used to identify different segments of the source color texture image. The segmentation can be obtained by means of Bayes formula provided that a proper decomposition of the estimated Gaussian mixture into sub-mixtures is available. 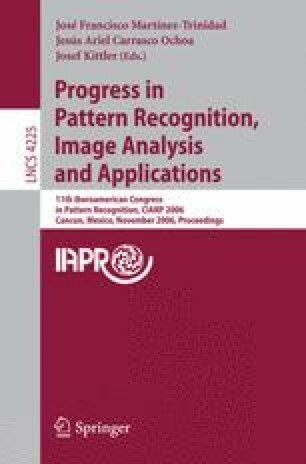 In this paper the mixture model is decomposed by maximizing the mean probability of correct classification of pixels into segments in a way taking into account the assumed consistency of final segmentation.